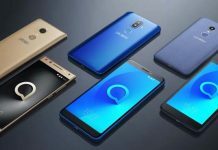 The Chinese manufacturer TCL is getting ready to present a whole series of new, mostly cheap smartphones with displays in 18: 9 format with its brand Alcatel, which is also active in Europe.We have already been able to find all the details about the Alcatel 3C, which is likely to be the cheapest smartphone with 18: 9 display in Europe with prices starting at just under 120 euros. 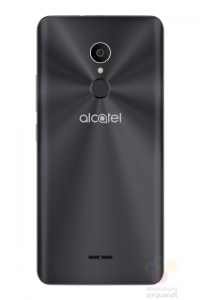 The Alcatel 3C will be part of a whole series of new smartphones with 18: 9 format, with below the Alcatel 1X probably an even cheaper model is planned. In addition, there are the Alcatel 3, Alcatel 3V, Alcatel 3X, Alcatel 5 and some other devices, as leaker Evan Blass reported a few months ago. Also Read: Galaxy Note 8 Has Battery Issues! 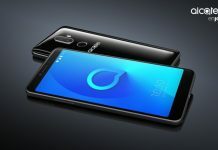 The Alcatel 3C is the successor of the Alcatel A3 XL with its entire six-inch display, but despite the enormous size due to the new screen format should not be larger than a smartphone with a normal 5.5-inch panel. The screen uses a 6.0-inch diagonal IPS panel with a resolution of 1440×720 pixels. The panel has fairly narrow edges, so it covers a good 76 percent of the front of the Alcatel 3C. 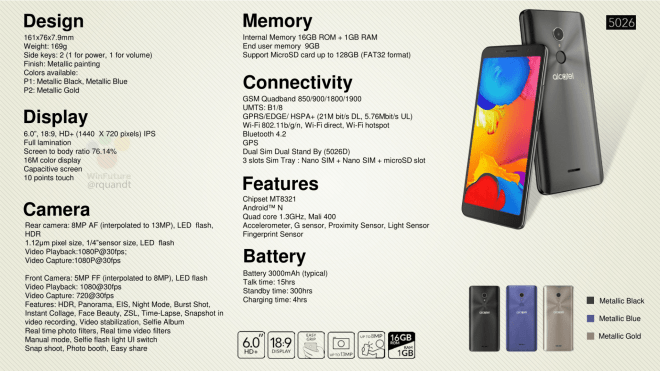 Under the hood, there is the MediaTek MT8321 quad-core SoC, which is actually intended rather for tablets. The ARM cores contained in the chip use the outdated ARM Cortex-A7 architecture and run with a maximum of 1.3 GHz. It also brings a simple ARM Mali-400 GPU and has a 3G-capable modem on board – so you have to do without Alcatel 3C on LTE. The RAM is only one gigabyte in size, which is likely to give the users in everyday life problems quickly multitasking with the Android 7.0 “nougat” used here. The internal flash memory is 16 gigabytes in size and can easily be expanded using the microSD card. The device basically supports two SIM cards and can also be equipped with a memory card. It is noticeable as mentioned that only a maximum of HSPA + with up to 21 Mbps downstream is supported. For the cameras, Alcatel / TCL uses an 8-megapixel sensor on the backseat, which is installed together with an LED flash. However, TCL interpolates the images to 13-megapixel resolution. After all, videos are possible with Full HD resolution. Front sits a 5-megapixel sensor with interpolation to 8 megapixels and support for 720p video. Also on the front of an LED flash is installed, which should provide for self-portraits for better illumination. The Alcatel 3C has also built a 3000mAh large battery, although it is still open whether the plastic back can be removed here to replace the power storage. There is also a fingerprint reader in the center of the back, which is designed to unlock the phone quickly and reliably. The device runs on Android 7.0 “Nougat” and brings at a thickness of 7.9 millimeters a weight of 169 grams on the scales. It will be available in black, blue and gold and is expected to be launched in stores a few weeks after the launch expected at CES 2018. Priced in Europe starts from around 120 euros. Previous articleGalaxy Note 8 Has Battery Issues!